Google’s Project Butter was intended to address one of the major complaints that Android users had with their devices namely the screen lag; usually when we are using the touch interface. 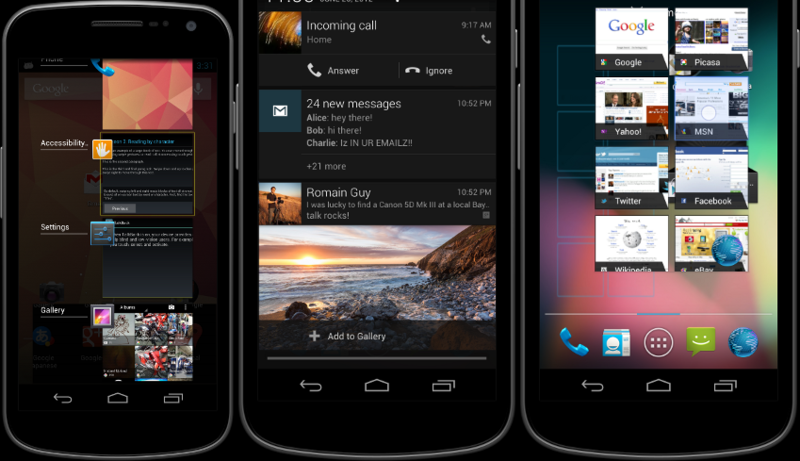 Project Butter has been developed in three areas all of which have been implemented into Android 4.1 Jelly Bean. Here is a detailed explanation of what Jelly Bean brings with it. With Vsync, you will experience the best graphical experience till date from your Android device and an increased frame rate of 60fps! ‘vsync timing’ has been applied to every aspect of Android 4.1. Application rendering, touch events, screen composition, and display refresh, all have been co-ordinated to a 16 millisecond vsync “heartbeat”. This means you will not experience lag of any kind when using your device. Fast and consistent frame rate throughout. Triple Buffering Triple Buffering boosts the performance of the three major components that arebehind the display and graphic rendering in a Smartphone or a tablet – CPU, GPU and the display. Triple Buffering makes sure that all three hardware components work in sync and work to their maximum performance ability to render a smoother and faster performance, be it animations, scrolling through pages or online video playback. Jelly Bean now have the algorithm which “anticipates” where the next finger touch is going to lay on the screen. Thus, the touch sensor and is already ready to respond to the touch when it happens. Normally, when a device comes out of the power saving mode, it tends to feel sluggish for a moment. This is because the CPU is not yet ready to deliver its resources effectively coming out of ‘sleep’. This problem is solved in Jelly Bean. As the device comes out of the power saving mode, the OS gives an input boost to the CPU, which is now ready to deliver its resources immediately. Result – no latency. Moving widgets and apps around on your home screens will now be even easier thanks to some changes Google have made. When moving a widget around apps will automatically wrap around it so you won’t need to go through the tedious process of moving individual icons around, deleting them, re-adding them, etc. Widgets can be re-sized automatically when you’re moving it from one pane to the next. It’s a natural extension of the folder’s wrapping feature and we are glad it’s finally part of the home screen as a whole. Up till now all of Google’s voice input features needed internet connectivity. Google announced that voice input would no longer require an internet connection: everything you need for voice-to-text and other voice features are embedded into the software. This is perfect for those who want to get some work done using voice but can’t seem to find an internet connection. The video demonstrates some of the miscellaneous features of this amazing new feature. Google also made changes to the keyboard by adding a predictive text system that will predict what you want to type before you type it. While we’ve had this sort of prediction in third-party keyboards like SwiftKey for quite some time, we are always glad to see stock apps give more functionality. And now, more users can type on the keyboard as Google have finally added native support for Arabic, Persian, Hindi, and Thai. As for that accessibility part, those who have a disrupted vision will be able to use gestures to do many things in the OS including swiping and navigation. One of the bigger changes we saw in the jump from Gingerbread/Honeycomb to Ice Cream Sandwich was in the camera app. ICS not only brought a streamlined, more subtle design to an app that so badly needed it, but also introduced zero shutter-lag, meaning the time between pressing the shutter release and capturing a photo was pushed down to (almost) zero. In fact in many cases, the time between touch and capture is incredible. Since its initial announcement last year, Android Beam had not reached its actual potential due to lack of NFC enabled devices. You could only send a very limited amount of content to people. Google have announced that you can now do so much more with it like sharing photos and video to others who have an NFC phone and Android Beam enabled. That’s not even the best part. Google’s announced functionality that would allow you to pair your devices up with Bluetooth-equipped accessories simply by bumping the two devices. Further details about these accessories would be available soon. 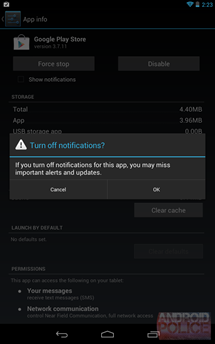 Notifications in Jelly Bean have received a massive overhaul which now allow you to do way more in the pane than you’ve ever been able to do before. Google’s making it easier for you to read and react to app updates without having to go into the actual app. For instance, a missed call notification will allow you to call that contract back straight from the notification. If you’re in a call at the time, you can hang up from the notification. This allows you to control your call from within any app. Expandable notifications allow you to do things like read the beginning of an email. You can snooze a calendar alarm from a notification and you can email every guest with a preset or custom message from within that same notification. A photo shared form Google+ gives you a preview of the full photo so you can decide whether or not you want to check out a bigger version. You can +1 that photo and share it from the same notification. In Foursquare, you could like and comment on your friends’ check-ins. With TuneIn Radio, you can skip a song, play or pause a song, and even save it as a favorite. With a swipe of two fingers, Pulse will give you the latest headlines and preview images to go along with them. Google’s giving developers complete freedom in what they can do with their actionable notifications. This should excite many people as I’m sure developers will not hold back. Google Now lets you search for the most general of terms or the most specific facts and it will return those results in a great way. For instance, I could ask the height of the Eiffel Tower and Google would instantly reply 1,063 feet. These will come in the form of Knowledge Graphs which not only give you the answer you were looking for, but more details about that item. A Knowledge Graph can be dismissed to reveal more information about whatever it is you were searching for. Knowing the height is nice, but knowing why such a tower exists also comes in handy and you don’t have to much of anything to go deeper in your searches. You have the option of enabling a voice that will speak the result back, and it understands plain English so you can forget about looking at a list of suggested phrases. Google Now will learn your personal life based on the things you do in Google Search and other Google sites. If you seem to search about the Packers a lot, Google Now will ping you when a game is near. It knows where you work and where you live, and as scary as that sounds it sounds pretty cool. It’ll let you know the traffic to and from your destination once the time it thinks you usually go to work approaches. It sees that you have meetings and will go a step beyond just alerting you. You will be given the best possible route to get to that meeting in a certain amount of time, and it even extends to public transportation by letting you know which route to take as well as what time your designated buses and trains should arrive. If you’ve recently done a search for a certain flight it will give you flight details including which gate to board your flight and the cool thing is that all of this happens without you needing to tell it; it just happens in an instant . Jelly Bean is expected to get officially launched sometime in July. The SDK is already available for developers who want to start upgrading their notifications, and users can look forward to all of the changes sometime down the line (it will depend on your carrier and OEM, of course, but GSM Galaxy Nexus and Nexus S owners shouldn’t have anything to worry about). We’ll sit back and enjoy the smooth ride that’ll be here in no time. 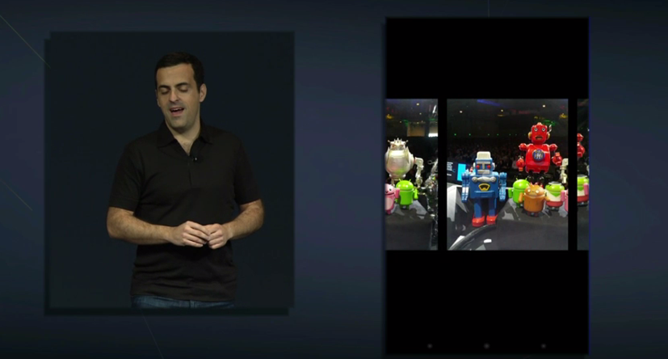 So what did you guys think of all the announcements made at Google I/O ? Do share your views with us.